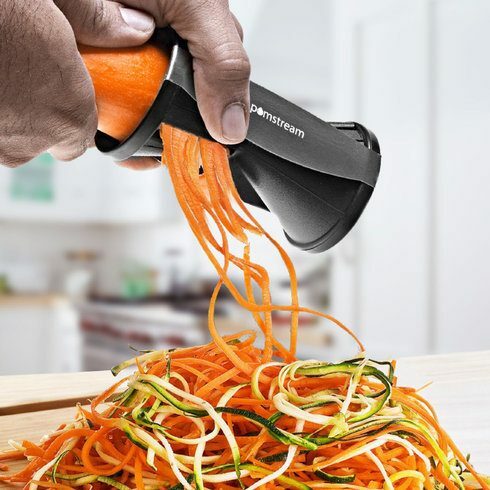 Spiral Vegetable and Fruit Slicer Only $7.99 + FREE Shipping! You are here: Home / Great Deals / Spiral Vegetable and Fruit Slicer Only $7.99 + FREE Shipping! Make eating vegetables fun for the kids! Get the Spiral Vegetable and Fruit Slicer for Only $7.99 + FREE Shipping! Add a decorative touch to your favorite vegetables and fruits! From veggie spaghetti, easy stir fry, to fancy garnishes for the sushi plate, this spiral cutter makes it all as simple as 1-2-3!